Hey fellow members! 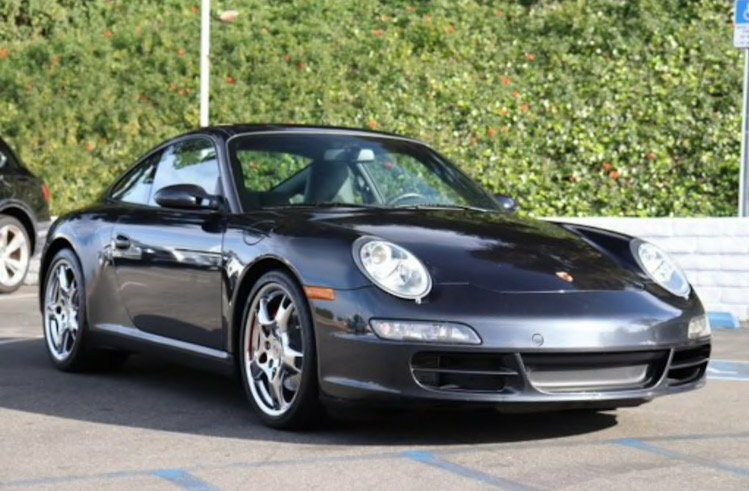 I am looking to purchase my first Porsche and found a 2005 C2S with 27k miles. My only concern with it is the possibility of an ims bearing failure. Looking at the vin tag it shows 6/05 so I wasn’t sure if that falls outside of the range for the bad bearing. I have asked my salesman to look further into this to see if the car had it replaced or if I’m safe and would not need to worry about it. That looks like an awesome example. The wheels are on the bling side for my taste but I’d say a very good opportunity. General consensus is that the larger bearing began to be used in 3/05 and later builds, so that car "should" be outside of the high failure range. The larger bearing can still fail but seems to happen at a much, much lower rate. You can Google for the exact build dates and also for the engine numbers of the affected vehicles - the engine numbers are easy to see even without putting the car on a lift so you could ask the dealer to snap a pic of it for further confirmation. I'm researching options for IMS replacement for my 11/04 build right now so getting very familiar with all this stuff. You cannot go by the engine numbers or build date. It has been proven that these sometimes are wrong. The only way to be sure is to look. Check the nut or the IMS flange. If the center nut of the IMS flange is a 13mm hex then it's the old style bearing and can be replaced without splitting the case. If it's a 22mm nut then it's the new larger updated bearing which is generally considered reliable and does not need to be replaced. Let me know if you end up driving this vehicle. I called the dealer to talk to them about this car and I wasn't really impressed with the answers they gave me. It does look gorgeous! Looks like a very nice car. I wouldn't be too concerned with the IMS. Have a PPI done to check for scoring, sump and filter inspection, etc. What I would plan on doing is pulling the gearbox regardless of what bearing it has. If it has the serviceable bearing, you can change it. If not, you can remove the grease seal to help extend the life of the original bearing. It's a win-win regardless.